A raucous action film, Rambo: First Blood Part II features a one-man army re-fighting the Vietnam War in the name of soldiers left behind. 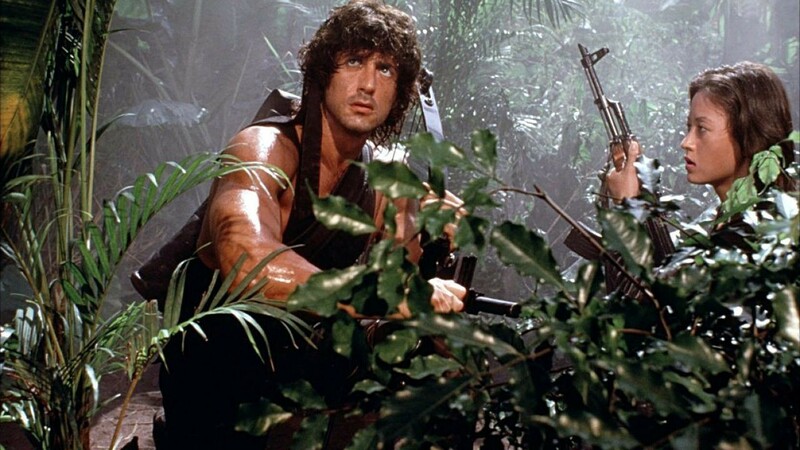 Vietnam War special forces veteran John Rambo (Sylvester Stallone) is serving prison time for his role in the events portrayed in First Blood. His former commander Colonel Samuel Trautman (Richard Crenna) secures his release in return for Rambo undertaking a covert mission to photograph a prisoner-of-war camp in Vietnam. The objective is to obtain proof whether or not any former American soldiers are still being held captive. The mission commander is Marshall Murdock (Charles Napier), based out of Thailand. Rambo parachutes into the Vietnam jungle and connects with his contact Co-Bao (Julia Nickson). They make it to the prison camp, Rambo silently infiltrates the compound, and is shocked to find a large number of American POWs being used as slave labourers. Instead of just taking photographs he rescues one prisoner and heads back to the pre-arranged extraction point, only to learn that the mission is compromised and his jungle adventure is just beginning. Directed by George P. Cosmatos with a screenplay co-written by Stallone and James Cameron, Rambo is a generally mindless, quite simplistic but also well-executed action film. At the peak of his physical abilities and boasting a superhuman muscularly chiselled torso, Stallone dominates proceedings with a dour performance that starts with scepticism and ends with outright rage at the establishment. More so that the Vietnamese and the Russians, the target of the film's fury is the home front, both for command incompetence and lack of post-war support. 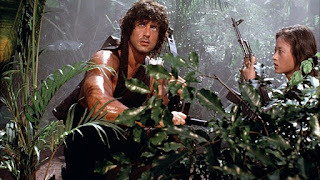 Setting aside politics and messages, the action scenes are the film's lifeblood, and Cosmatos delivers slick jungle battles alternating stealth and cunning with plenty of oversized guns, helicopters and noisy explosions. 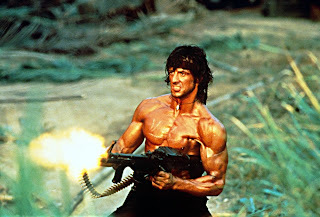 The final 30 minutes feature barely any dialogue, as Rambo takes matters into his own hands, rewrites the mission and proceeds to unleash the wrath of the wronged soldier on all his foes. None of it is anywhere near credible, but the fun quotient is high. With the Vietnamese soldiers portrayed as unworthy opponents, Russian Lt. Col. Podovsky (Steven Berkoff) and his squad of torture-loving henchmen emerge as Rambo's real enemies. Berkoff competes with Napier and Crenna in the battle of the square-jawed supporting actors. 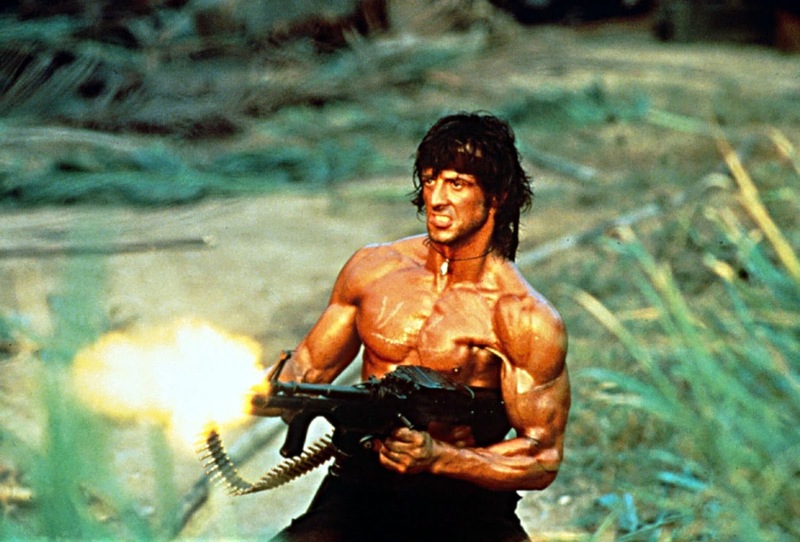 Rambo was a massive hit, spawning numerous knock-off imitators, and reopening questions about the American role in the Vietnam War and the post-war treatment of veterans. Although the superficial criticism that Stallone went back into the jungle and this time single-handedly won the war is valid, the film deserves credit for raising awareness about the need to the separate the treatment of individual veterans from the criticism of an unpopular war.